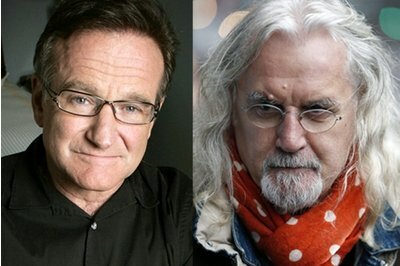 In a recent interview, Scottish comedian Billy Connolly said he thinks Robin Williams tried to say goodbye during their last phone call before committing suicide last month. Billy Connolly told The Telegraph that he and the late actor frequently told one another that they loved each other during phone conversations, and last one was no exception. “I never stopped it and he never stopped telling me. As a matter of fact, I thought afterwards he tried to say goodbye to me, because he got very luvvie towards the end. It’s fanciful but that’s what I told myself,” Billy Connolly said. Although his representative stated Robin Williams had “been battling severe depression of late”, Billy Connolly remembered his friend as a “happy comedian”. “He was not always depressed,” Billy Connolly clarified.